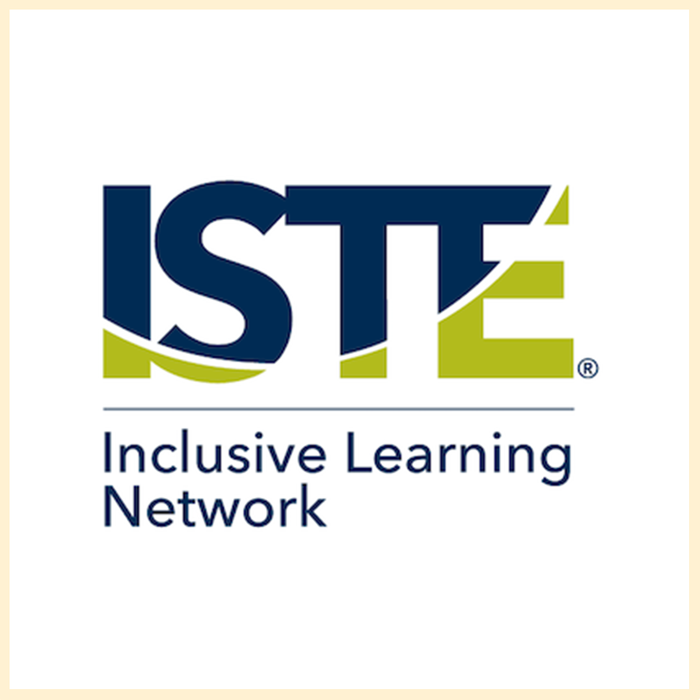 As part of the ISTE Inclusive Learning Network (ILN), we join together in community with over 1200 other educators to work toward more inclusive learning for students around the world. The mission of the ILN is to advance knowledge concerning specialized technology resources and effective practices for enhancing opportunities and reducing barriers for ALL learners, especially those with diverse needs, including learners with disabilities and those identified as gifted and talented. We seek to provide leadership, policy guidance & development, information, and training for our members and to serve as an advocate for individuals with exceptionalities within ISTE and beyond. In this newsletter, we are excited to announce this year’s finalists and winner of the ILN Outstanding Educator Award! And, we want to share with you some of the recent ILN activities and how you can connect and grow along with us in our upcoming events. I hope to see many of you at the ISTE Conference in San Antonio, TX at the end of June! In February, the ILN received nominations for the 2017 ILN Outstanding Educator Award, which recognizes exceptional leaders who exemplify the ILN mission. This year’s award winner will be honored at the 2017 ISTE Conference & Expo in San Antonio during the breakfast for leaders of the ISTE Professional Learning Networks, recognized on the ISTE website, and receive a plaque and free membership to ISTE for one year. We were thrilled to see so many people doing great things to promote inclusive learning through their work, and we would like to share the finalists and award winner. Jennifer Liang (@Kathana) is an Instructional Technology Specialist at Cumberland Academy of Georgia, a school that specializes in supporting students with autism and social/emotional disabilities. She has led a powerful initiative at Cumberland to equip students with digital citizenship skills as part of their social skills curriculum. Anthony Mason (@EdTechMason) is a Digital Instructional Coach at Naaman Forest High School in Texas. He has been instrumental in his district’s 1:1 tablet initiative, helping teachers use the technologies to personalize instruction for each student’s unique needs, abilities, and interests. 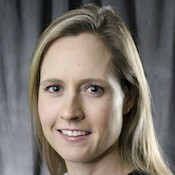 Laura Schifter (@laschifter12) is a Lecturer at the Harvard Graduate School of Education. She advocates for individuals with dyslexia and employs the Universal Design for Learning framework to increase access and engagement for learners. We are pleased to recognize this year’s winner of the ILN Outstanding Educator Award - Mike Marotta! 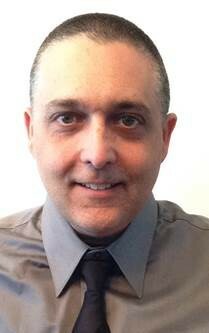 Mike (@mmatp) is an Assistive Technology Specialist with Inclusive Technology Solutions, LLC, providing direct services to individuals with all disabilities for over 27 years. He is also a nationally and internationally recognized presenter, trainer, adjunct professor, and leader in assistive technology and Universal Design for Learning. 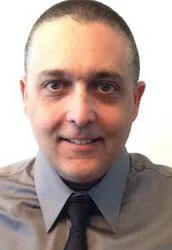 You may recognize Mike as co-moderator of the weekly #ATchat on Twitter. Thanks to all four of these outstanding individuals for your efforts in promoting inclusive learning! 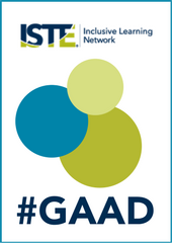 On the afternoon of May 18th, Global Accessibility Awareness Day (GAAD), the ISTE Inclusive Learning Network with the help of our International Committee will be holding our first online mini-conference on digital inclusion. Join us on May 18th starting at 1PM EDT on any PC, Mac, Linux, iOS or Android device: https://zoom.us/j/201572783. You can also sign up to receive a reminder the day of the event. Please note: All times listed in Eastern Daylight Time (-4 UTC). Remember to adjust times accordingly if you live in a different time zone. All sessions will be recorded, with captioned recordings posted on the Inclusive Learning Network's website after the event. The Inclusive Learning Network Book Study was held from March 27th to April 24th. 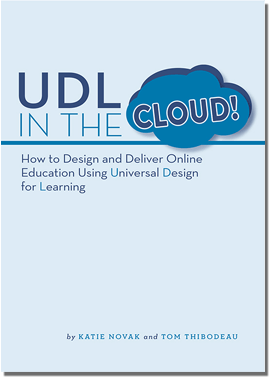 Over 70 participants signed up to connect, read, share and collaborate with the book UDL in the CLOUD! written by Katie Novak and Tom Thibodeau. A website was set up for the book study to share the timeline, activities and events. 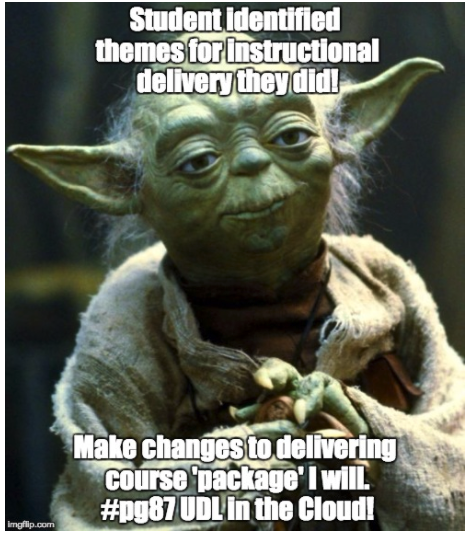 Participants were encouraged to share insights and ideas, as well as their voice and/or video in a variety of digital resources that included a shared google doc, Voicethread, Flipgrid, Answer Garden, a slow chat in Twitter, meme creations and two author chats held in Zoom.US. 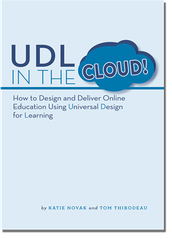 The author chats enabled participants to engage in conversations with Katie Novak and Tom Thibodeau about their work with universal design for learning. These videos are archived on the book study website. The Inclusive Learning Network book study organizers, Helen DeWaard and Susie Gronseth, extend a sincere Thank You to authors Katie Novak and Tom Thibodeau for sharing their time and expertise with the book study participants. With the help of advancements in science, there is plenty of assistive technology available to compensate for vision loss among the elderly today. Details above in this newsletter, or visit the Inclusive Learning Network website for more details. Providing high quality education is a matter of social justice, and Universal Design for Learning (UDL) is an innovative framework that supports all learners –regardless of socioeconomic, cultural, gender, language, cognitive, physical, and emotional background— by providing exceptional, rigorous learning opportunities. UDL proactively infuses opportunities for learners to overcome barriers and ensure that “learning has no limits.” Early bird pricing deadline: May 15. Established in 1988, Rhode Island’s statewide and regional conference on assistive technology has highlighted the important role that technology plays to support equity and inclusion in the lives of children and adults with disabilities. 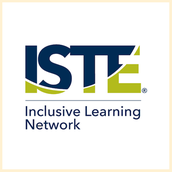 Join the ISTE Inclusive Learning Network.